Wonderfully weathered wrought iron, a pair of gates from about 1900 have some original mounting hardware, originally set in masonry columns. Wonderful for a wine cellar or garden, this American made architectural salvage is charmingly rusted. Two finials are missing, see photos. 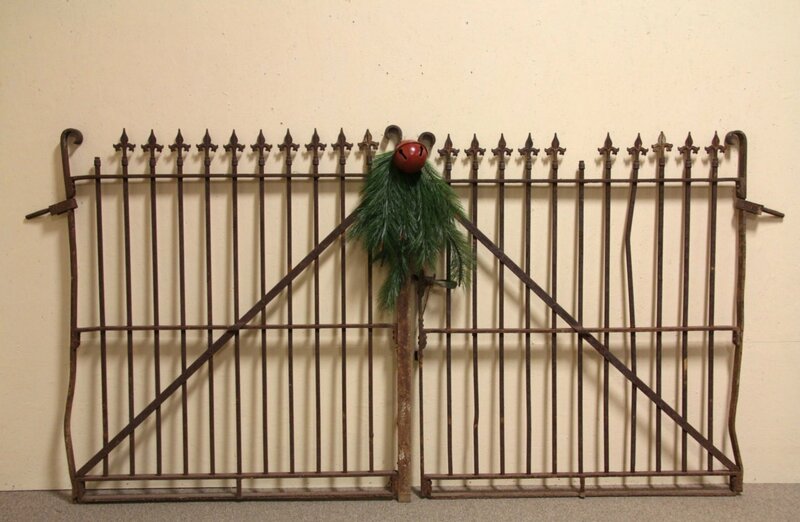 Measurements of each gate is 52" wide, 2" deep and 59" tall, together they would fit an opening about 8' 8" wide.